Retired by Schleich in 2019 - Get yours while supplies lasts! 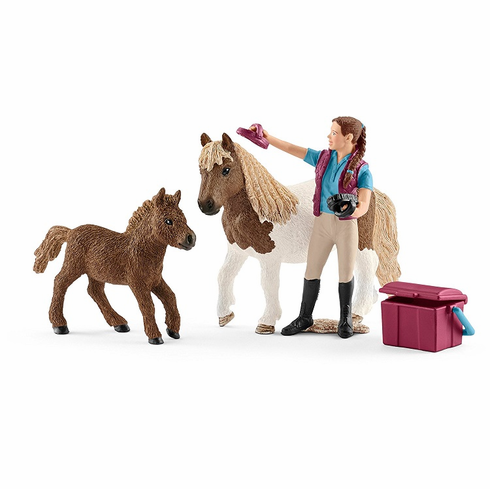 Schleich Stablehand w/ Shetland Ponies. Part of the Farm Life Series by Schleich. The art work and detail are beautiful on this hand painted figure. Made of durable synthetic material by Schleich.